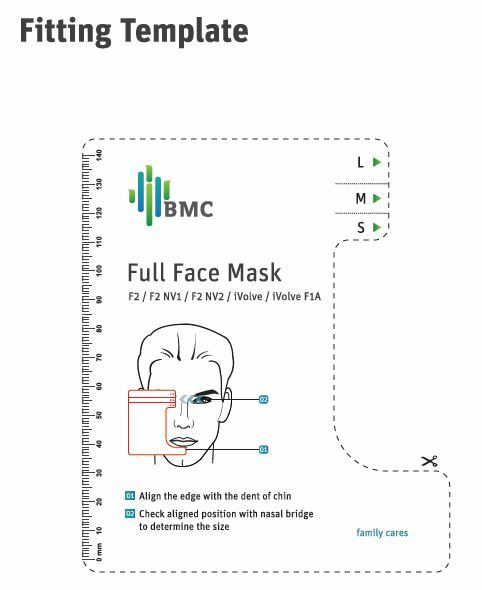 The iVolve F1B by BMC is a new double-cushion full-face mask that is designed to provide you with excellent respiratory comfort and care. The human-optimized mask features ensures therapy is as comfortable as possible for every user. F1B maintains BMC`s classic double-cushion design with enhanced comfort and stability. The fully adjustable forehead support feature is on the cutting-edge of CPAP mask comfort. It is designed to fit the limitless morphology of human facial structure and ensure that air leaks are kept to an absolute minimum. Convenient bilateral ports on the mask face allow for direct oxygen input.